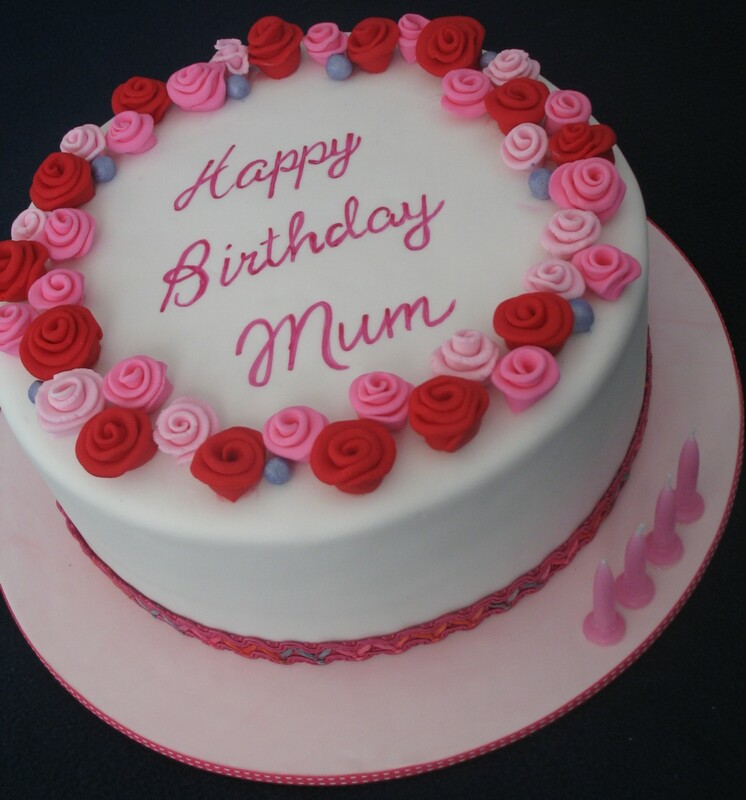 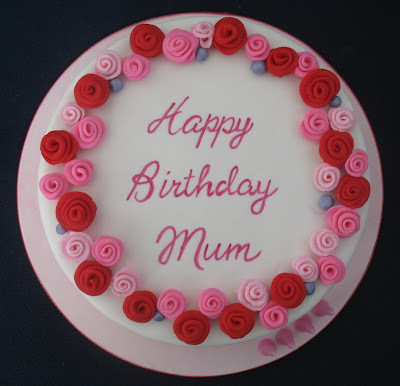 A simple cake to celebrate a special Mum's birthday. 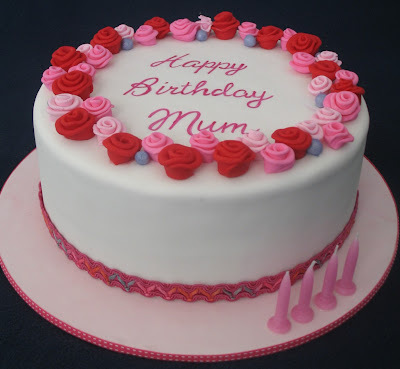 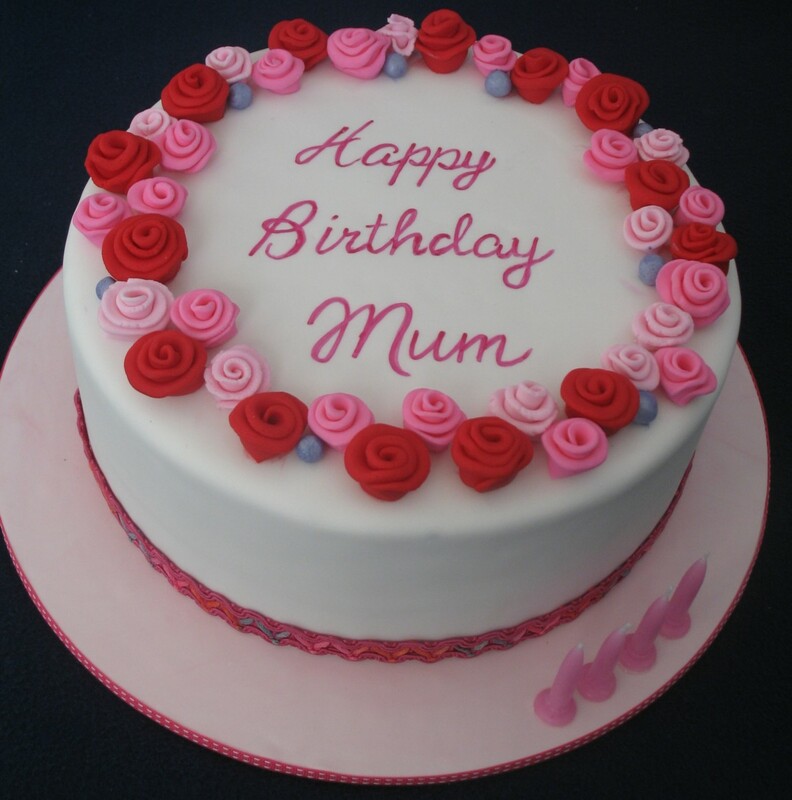 Shades of pink and red roses adorned the top of the cake with shimmery lilac beads and the inscription is handpainted. The cake is lime/coconut cake with white chocolate ganache.